Every few months I'll have a discussion with someone who isn't in a good place financially. These individuals often express a desire to change their situations, yet many don't even know the first steps. 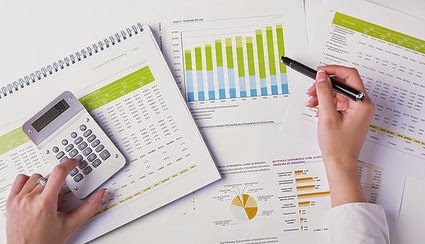 As a personal finance writer, I've been reading and researching this particular subject for many years; therefore, I know several tricks to get one’s finances on the right track. And because of my knowledge, I often forget that some people aren't as financially savvy. They know that they need to make changes, but they don't always know how to achieve their end goals. The good news is that you don't have to be a financial expert to make smart financial decisions and improve your situation. A lot of this is common sense, and what isn’t can be learned. So, if your finances need reviving, here’s a look at seven ways to achieve a fresh start. A credit card in your wallet is wonderful during an emergency. However, credit cards should not become your everyday payment method, unless you’re planning to pay your balance in full each month. If you use credit cards and carry a balance from month-to-month, you’ll increase your balance and pay a ton in interest. Going forward, use cash and only pull out your credit card when necessary. Life isn't only about fun and paying bills. It's also important to save and build a financial cushion, which comes in handy if you experience any type of hardship, such as a job loss or illness. It takes time to build a savings account. Start with depositing 10% of your check each pay period, and save a percentage of any free money you receive, such as a tax refund or a work bonus. You’re not getting any younger, and retirement will be here before you know it. If you don't want to get caught off-guard, start planning now. Whether it's an employer-sponsored 401(k) plan or an individual retirement account, get serious about retirement planning and contribute at least 3% to 5% of your income each month. Are you happy with your job? Would you like to earn a higher salary? If so, stop complaining about your lack of opportunities and create your own. Investing in your future not only helps you achieve job satisfaction, it can open the door to greater opportunities and a higher salary. And with a higher paycheck, you'll have more options, such as the chance to pay off debt and save more for retirement. Depending on how much debt you have, it can take decades to get rid of your balances. If you're falling behind on bills, or if you don’t have the resources to pay off your balances, contact a chapter 13 bankruptcy attorney to see if you're eligible for bankruptcy. Bankruptcy might be the solution if you don't have any other alternatives, and if you desperately need a fresh start. Downsizing and simplifying your life can free up cash in your budget, and provide relief from financial stress — especially if you're maxed out. Moving into a cheaper home or getting rid of your expensive car can add hundreds to your bank account each month. Imagine what you can do with this extra cash — pay off credit card debt, increase retirement contributions or enjoy life. Besides, what's the point of earning a lot of money if you're still living paycheck to paycheck? Whether you're shopping for a mortgage loan or buying shoes, always shop around and compare prices. Additionally, only shop when there are sales or discounts, and look for every opportunity to combine coupons with these discounts for additional savings. Getting your finances on track requires adjusting your spending habits and your financial mindset. This takes time, but once you make the necessary changes, you'll enjoy a better financial outlook.